Kenneth was born in Rainhill to William and Jessie Eleanor Lyon. William had been born in St Helens in 1862 and was a glass bottle importer and merchant. Kenneth had an younger brother, Maurice, born on 14th July 1887. In 1916 Kenneth was called up for active service. Initially he served in the junior ranks of the Royal Horse Artillery with the regimental number 130726 and from June 1916 attended an Officer Cadet Unit, being commissioned into the Royal Field Artillery as a Second Lieutenant on 8th October 1916. 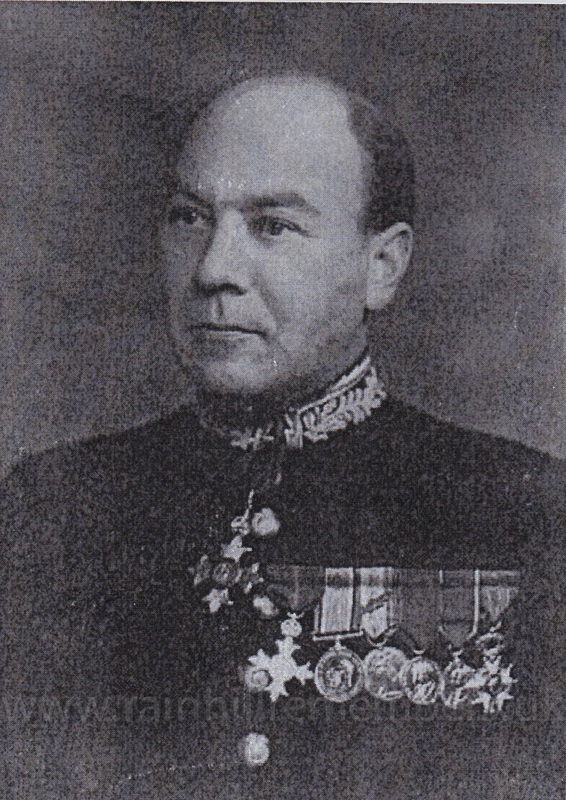 He served with 13th Brigade Royal Field Artillery until the end of the war when he was awarded the military OBE and appointed a Chevalier of the French Legion of Honour in 1921. 13th Brigade RFA came under the command of the 7th (Meerut) Division of the Indian Army. It served with the Division in France, Mesopotamia and Palestine. On 3rd January 1917 Kenneth was promoted to Lieutenant whilst holding the post of Adjutant. In May 1918 he was promoted to acting Captain whilst serving as a Staff Captain with a headquarters Unit. He relinquished the rank of temporary Captain in January 1919. As a result of his war service he qualified for the British War Medal and Victory Medal. He was also 'Mentioned in Despatches'. In later life he was made a CBE and CB. Kenneth Lyon died in Norfolk in 1956.